We're committed to creating and supporting a culture of writing at UofL. Throughout the year we hold writing groups and events about writing to help support, and have fun, with all aspects of writing. 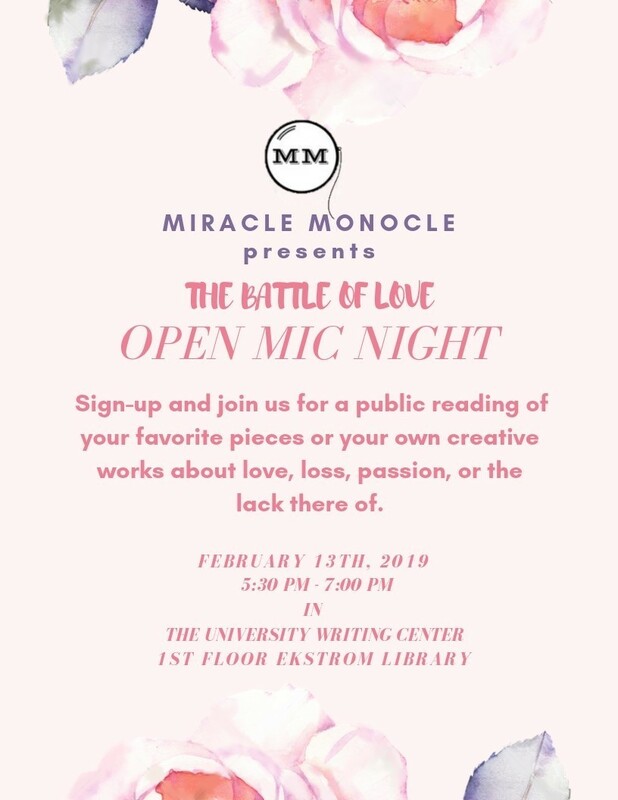 All events are free and take place at the University Writing Center, on the first floor of Ekstrom Library. For more information about an event, click on a link below or contact us at 502-851-2173 or writing@louisville.edu. The Faculty and Graduate Student Writing Group meets every Tuesday 5:30-7:30 p.m. starting January 7, 2019.